Eastern Caisson completed this project in August 2009 for joint venture Wagman, Corman, McLean. Due to this being a large project and having work sequences, this job spanned from Aug. 2007 to Aug. 2009. 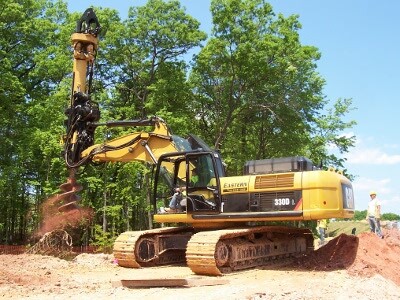 In order to meet job requirements, Eastern utilized several different rigs. 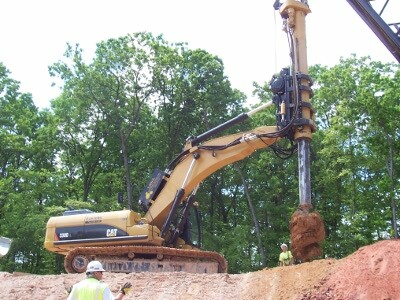 Our 2500 Watson was the main rig over the project, but the LoDril 60 was utilized along with our 108 Linkbelt 5000 Watson for one wall section. One area also required Eastern to utilize a Low clearance rig due to overhead wires. 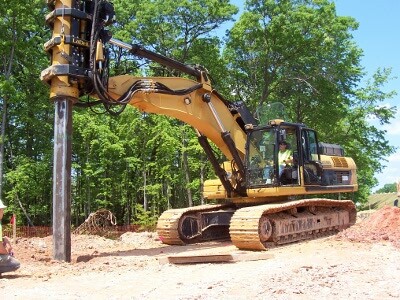 500 + Holes consisted of 36, 42, and 48” diameter shafts with depths to 29’. Some holes required casing, some rock drilling was required but Eastern was able to react to any changes and complete this successfully and timely for all involved.